My favorite kitchen knives are on clearance! These are THE BEST! 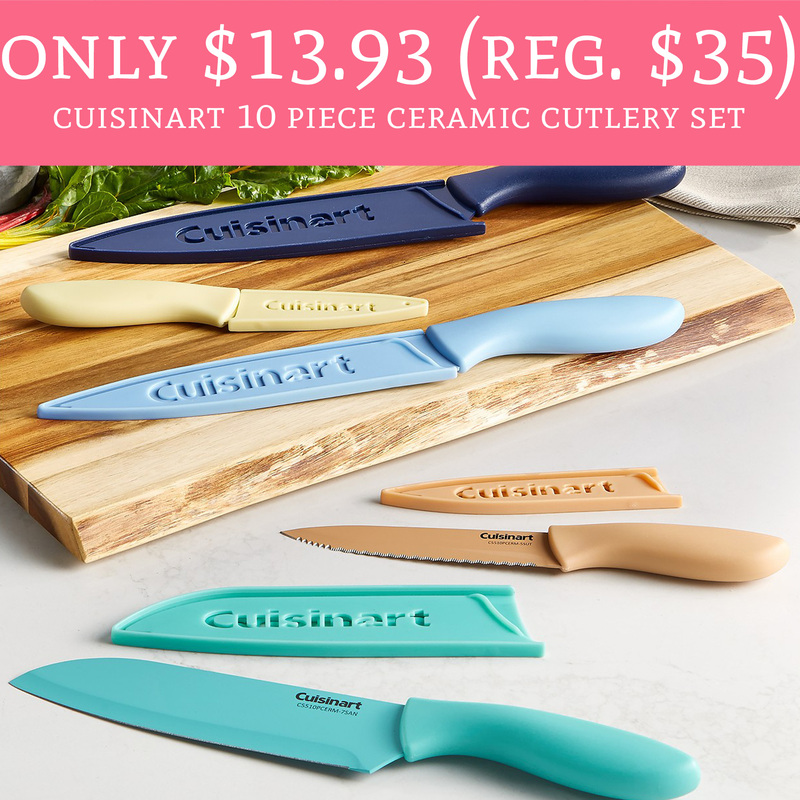 Hurry over to Macy’s.com where you can order the Cuisinart 10 Piece Ceramic Cutlery Set for just $13.93 (regular $35). This deal is valid while supplies last. Choose pick up in store to avoid shipping fees or Shipping is free with any $49 or more purchase. Order yours here!